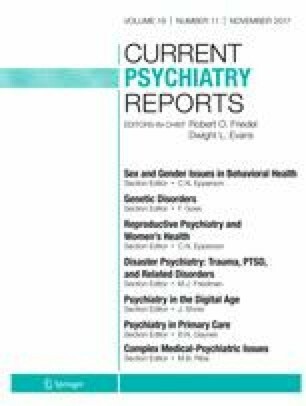 Genomic Disorders in Psychiatry—What Does the Clinician Need to Know? The purpose of this review is to summarize the role of genomic disorders in various psychiatric conditions and to highlight important recent advances in the field that are of potential clinical relevance. Genomic disorders are caused by large rare recurrent deletions and duplications at certain chromosomal “hotspots” (e.g., 22q11.2, 16p11.2, 15q11-q13, 1q21.1, 15q13.3) across the genome. Most overlap multiple genes, affect development, and are associated with variable cognitive and other neuropsychiatric expression. Although individually rare, genomic disorders collectively account for a significant minority of intellectual disability, autism spectrum disorder, and schizophrenia. Genome-wide chromosomal microarray analysis is capable of detecting all genomic disorders in a single test, offering the first opportunity for routine clinical genetic testing in psychiatric practice. Chelsea Lowther is supported by a Frederick Banting and Charles Best Canadian Institutes of Health Research Doctoral Award. Anne S. Bassett holds the Dalglish Chair in 22q11.2 Deletion Syndrome at the University Health Network. Chelsea Lowther, Gregory Costain, Danielle A. Baribeau, and Anne S. Bassett declare that they have no conflict of interest. This article does not involve direct studies with human or animal. The article is a review of multiple studies, several of which involve human subjects by the authors. Isles AR, Ingason A, Lowther C, Walters J, Gawlick M, Stober G, et al. Parental origin of interstitial duplications at 15q11.2-q13.3 in schizophrenia and neurodevelopmental disorders. PLoS Genet. 2016;(5):12, e1005993. https://doi.org/10.1371/journal.pgen.1005993. Yilmaz Z, Szatkiewicz JP, Crowley JJ, Ancalade N, Brandys MK, van Elburg A, et al. Exploration of large, rare copy number variants associated with psychiatric and neurodevelopmental disorders in individuals with anorexia nervosa. Psychiatr Genet. 2017; https://doi.org/10.1097/YPG.0000000000000172. Royston R, Howlin P, Waite J, Oliver C. Anxiety disorders in Williams syndrome contrasted with intellectual disability and the general population: a systematic review and meta-analysis. J Autism Dev Disord. 2016; https://doi.org/10.1007/s10803-016-2909-z. Vorstman JA, Parr JR, Moreno-De-Luca D, Anney RJ, Nurnberger JI Jr, Hallmayer JF. Autism genetics: opportunities and challenges for clinical translation. Nat Rev Genet. 2017; https://doi.org/10.1038/nrg.2017.4. Bassett AS, Lowther C, Merico D, Costain G, Chow EWC, van Amelsvoort T et al. Rare genome-wide copy number variation and expression of schizophrenia in 22q11.2 deletion syndrome. International 22q11.2DS Brain and Behavior Consortium. Am J Psychiatry. 2017 https://doi.org/10.1176/appi.ajp.2017.16121417.